These instructions explain how to remove a college printer's driver on a Windows computer. 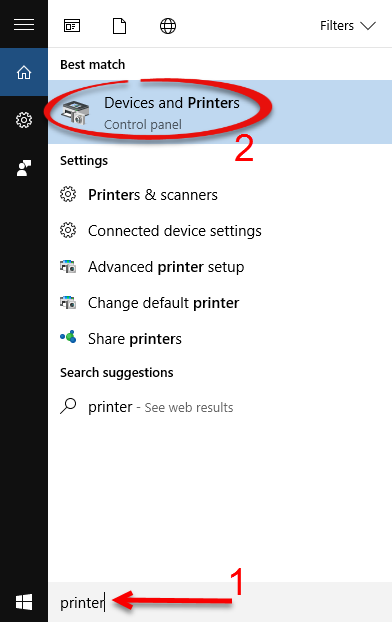 Step 1:Click Start and type "printer," then click Devices and Printers. This will launch a list of the devices and printers installed on your computer. 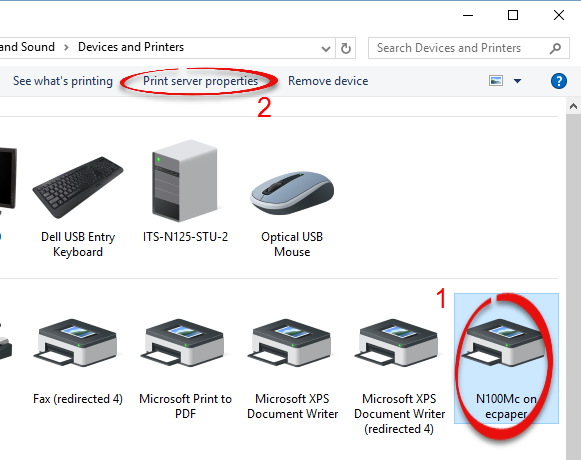 Step 2:Click to select any printer, and choose Print server properties. 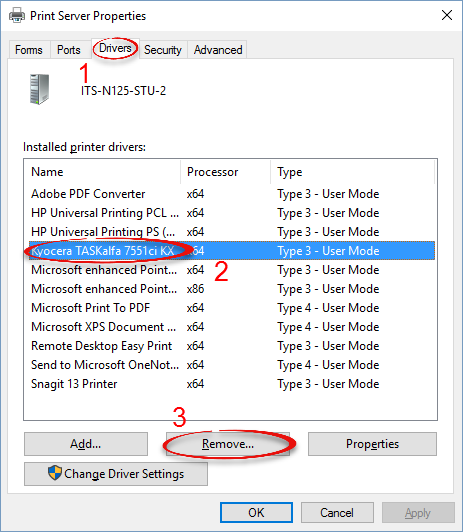 Step 3:Click the Drivers tab, select the printer driver, and click Remove. Note: If you are removing a copier driver, visit the copier and look at the front to determine the exact SHARP MX driver to uninstall. 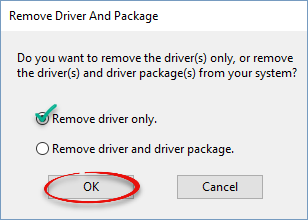 Step 4:Select Remove driver only and click OK. 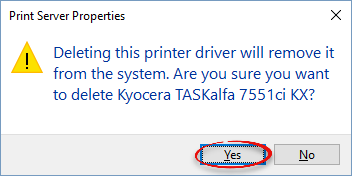 Step 5:Click Yes to affirm that you wish to delete the printer driver.